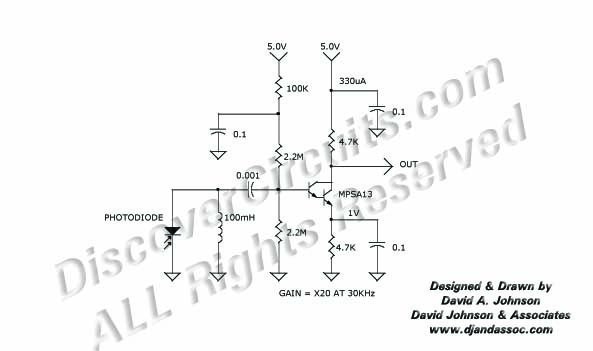 Circuit: 30KHZ LIGHT RECEIVER AMP__ Circuit designed by David A. Johnson, P.E. This circuit uses NPN darlington transistor to Amplify the signal produced from short light flashes, as detected by a PIN photo diode. The circuit draws only about 330uA from a 6v battery.